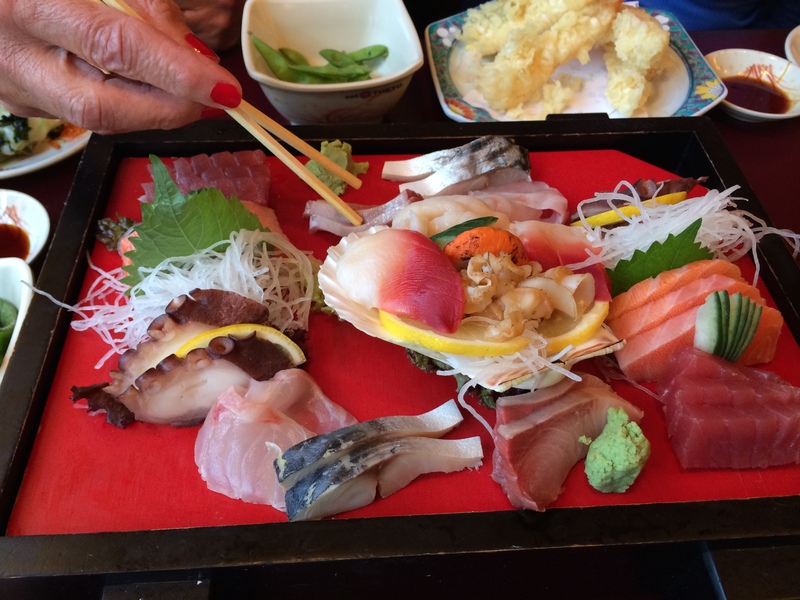 Eat Tokyo is a London mini-chain of sushi restaurants with 5 branches around central, north and west London. 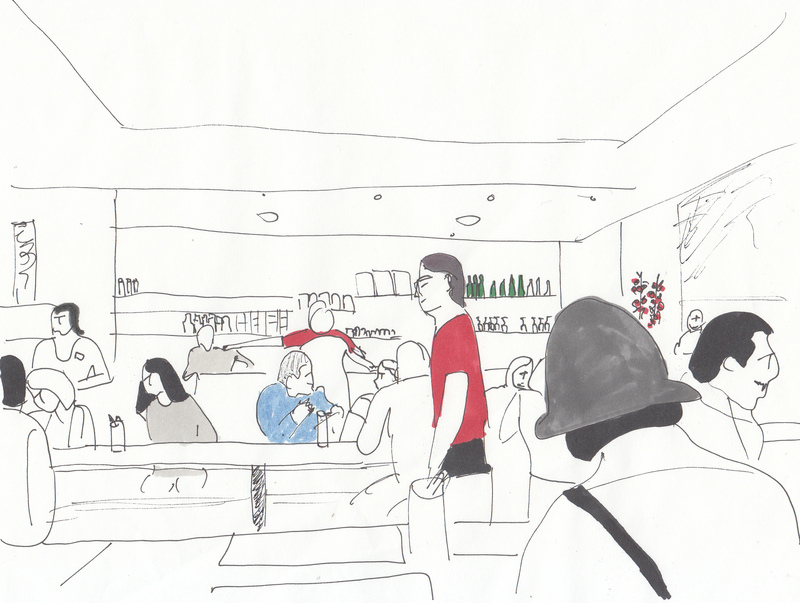 The small and unassuming Hammersmith branch was already reassuringly full by 6pm, and the clientele seemed to include quite a few Japanese couples and families. The bible-like menu is replete with glossy photographs of every option and it is hard not to be overwhelmed by the immense array of dishes. The pricing is very reasonable and because the range of prices is quite tight I think you will get better value from premium dishes like turbot nigri (£4.8) rather than more standard options like mackerel (£3.2) or prawn (£3.8). Flummoxed by the range of choices we opted for a sashimi set and prawn tempura. The sashimi was generally good, highlights being the light, fresh and neatly prepared mackerel and the fatty, silky salmon. I was unimpressed by the (reconstituted) crab claw and octopus which were plasticy and tasteless. Tuna and a white fish (possibly bream or sea bass) were decent and definitely fresh, although they were slightly clumsily prepared. The prawn used in the prawn tempura was meaty and mild, the batter light and crispy – a simple but tasty side dish. 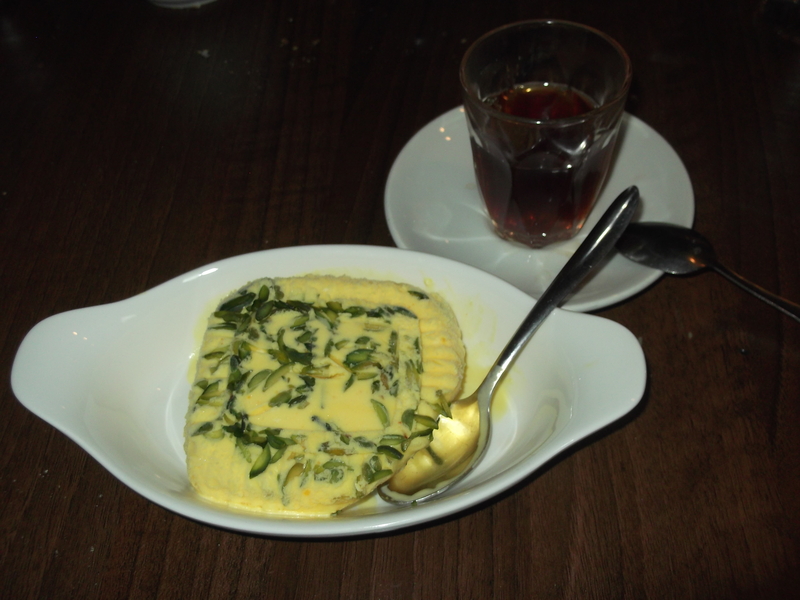 Patogh is a little Persian restaurant just off the Edgware road. The cave-like interior has been sloppily decorated to evoke a Persian peasant’s house, with strange agricultural instruments hanging on the wall and chunky wooden furniture. But, thankfully people do not come here for the ambience or décor, they are famous for their kebabs, grilled meats and Persian bread. We started with a very, very big bread (£4) and a range of dips and pickles (£3-3.5). 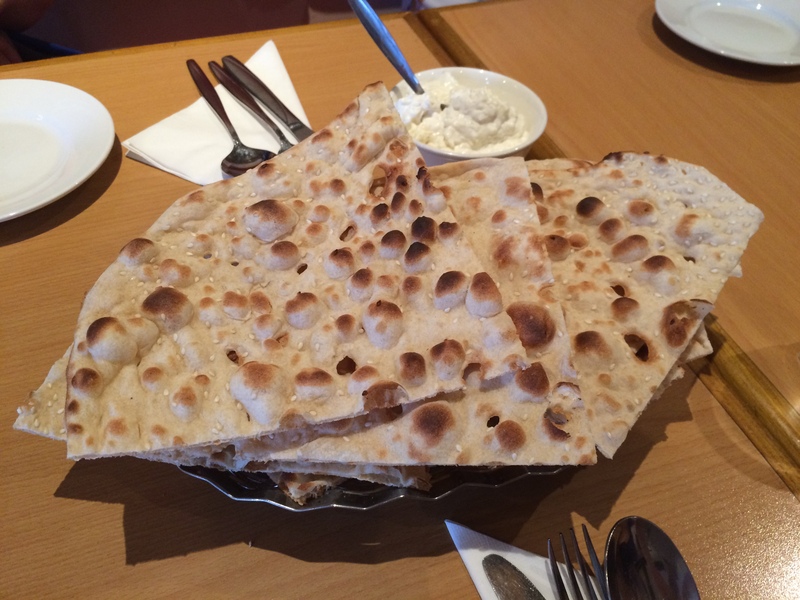 The bread was fantastic – its exterior was crispy and the inside soft but nicely chewy, it was thinner than a typical naan bread, replete with sesame and poppy seeds, and was perfect for dipping in yoghurt or even just eating on its own. Our dips were less remarkable – the pickles tasted like they had come in a jar from a cash and carry, the cucumber yoghurt was fresh but underseasoned and the houmous needed more garlic. Mains range from £6-9 and are either lamb or chicken-based, with an okra stew for the veggies and a whole grilled seabass for any pescetarians (though I wouldn’t vouch for the provenance of the fish at £12). I opted for the lamb pieces with white rice – the lamb (possibly loin) had been marinated, skewered on a kebab and then grilled. The lamb was wonderful – I think it had been marinated in olive oil with garlic and mint which lended some complexity to the meat; it was nicely charred giving texture and extra flavour. I think you will struggle to find a better kebab in London. 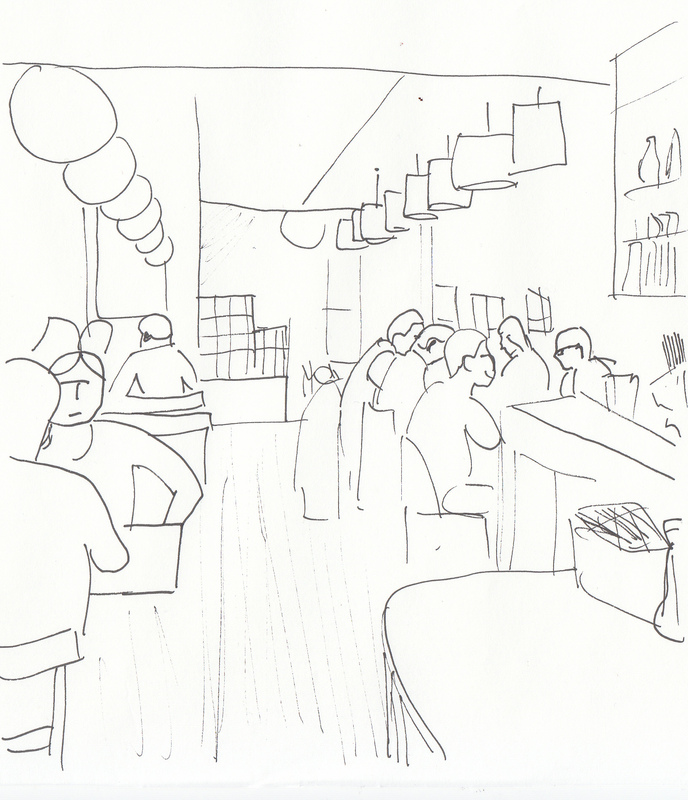 Wagamma was one of the first ventures of Alan Yau, the restauranteur behind Michelin-starred Hakkasan and Yauatcha. The first branch opened in London in 1992 and now they have over 100 restaurants across the world, including franchise outposts in Boston, the UAE, Qatar and Australia. 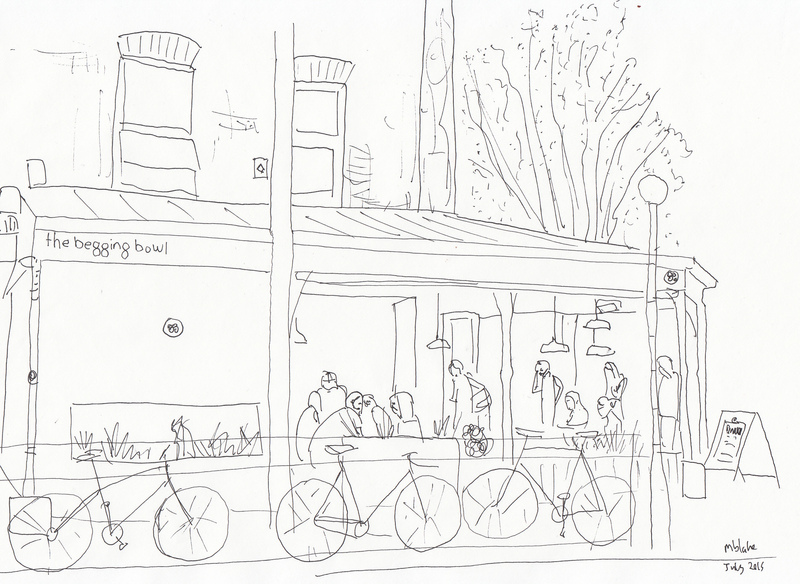 I went along to the Southbank restaurant which is a large, bustling space that I would guess seats over 100. 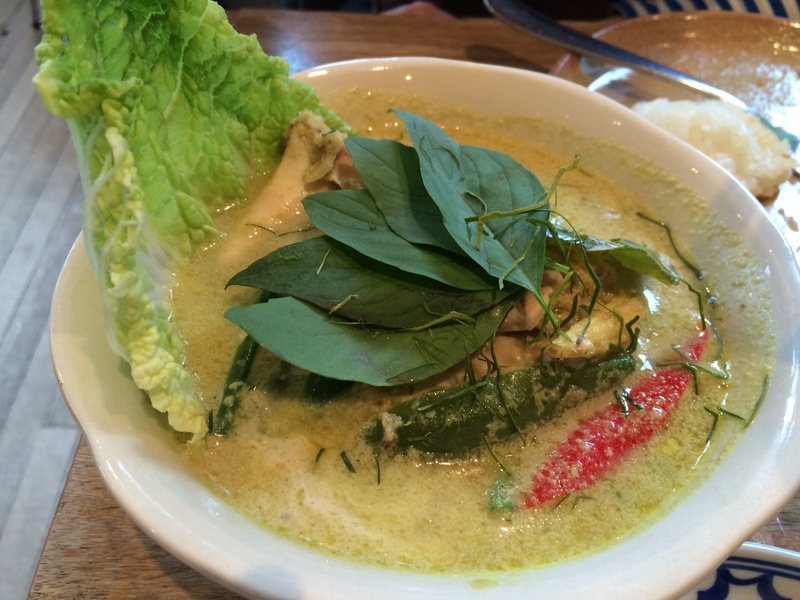 Most of you will be familiar with the menu which is split into ramen, noodles, curries and salads. 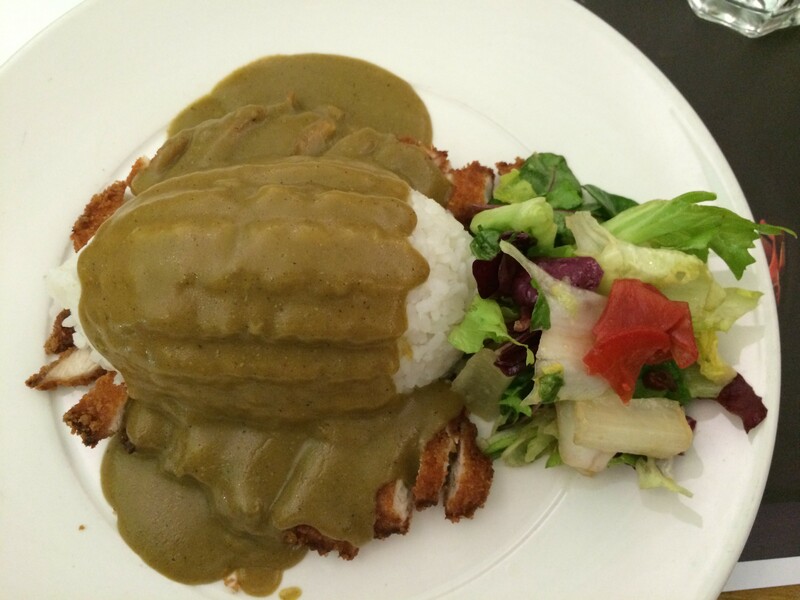 I opted for the classic chicken katsu curry (£9.75) – breaded chicken strips and rice smothered in a mild curry sauce. The quality of the chicken was reasonable but it had been overcooked and was rather dry. 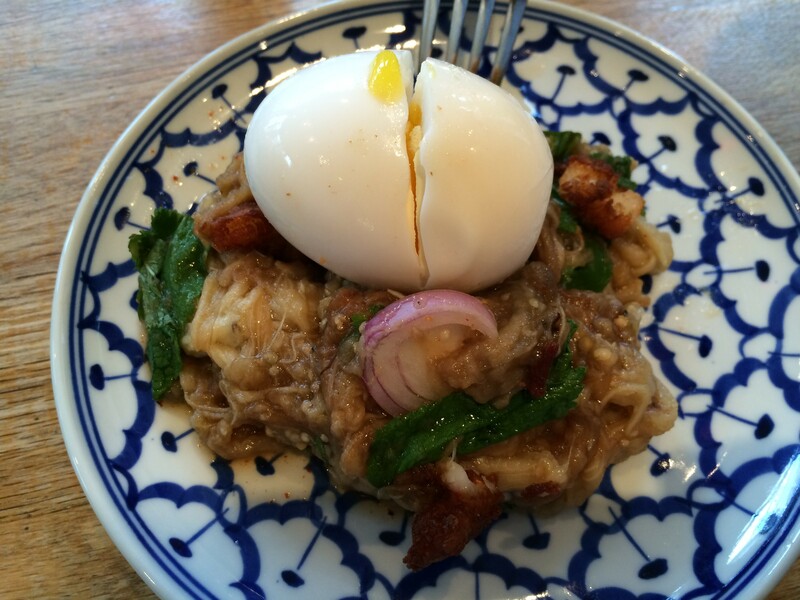 The rice had been prepared in a massive rice cooker and was near to perfection, with a nice firm texture. 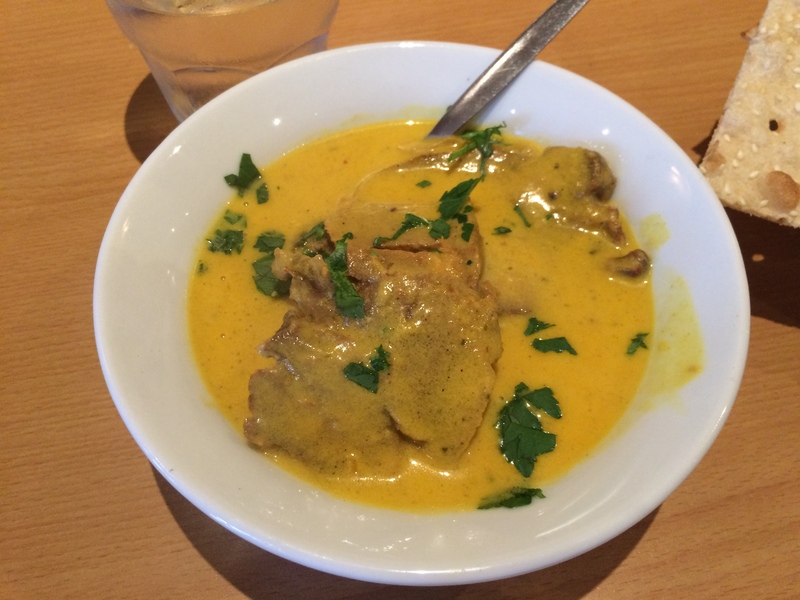 The curry sauce was definitely pre-prepared – it was bland, stale and needed more spice; the side salad had seen better days. Categories: Japanese, Persian | Permalink. A sizeable chunk of the Persian upper classes fled to Kensington after the revolution of 1979 and it still sports a sizeable Iranian community, with quite a few Iranian restaurants in the area. My Persian friend Meysam has been to most of these restaurants, and has taken me to the wonderful Mohsen many times, but I was keen to try somewhere different. Hafez is a tiny restaurant with only 10 tables and very unusual decor – a range of antique spoons clutter the walls and a teacup sculpture doubles as a lampshade. The service seems typical of London Persian restaurants – it could never be described as friendly but is generally efficient. I started with a swig of Persian saffron beer (£3.90 – brewed in the UK), which was really interesting, with a strong (but not unpleasant) saffron aftertaste. 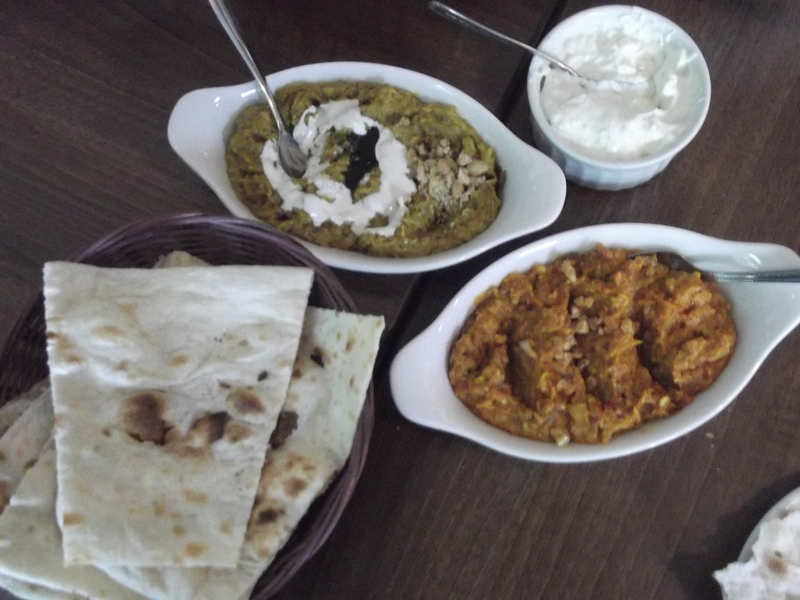 Iranian starters generally consist of bread and dips; the Hafez menu is no exception: we tried Mirza Ghasemi (£4.50) and Mast-o Mousir (£3.50), which are both aubergine based – one with garlic, the other saffron. 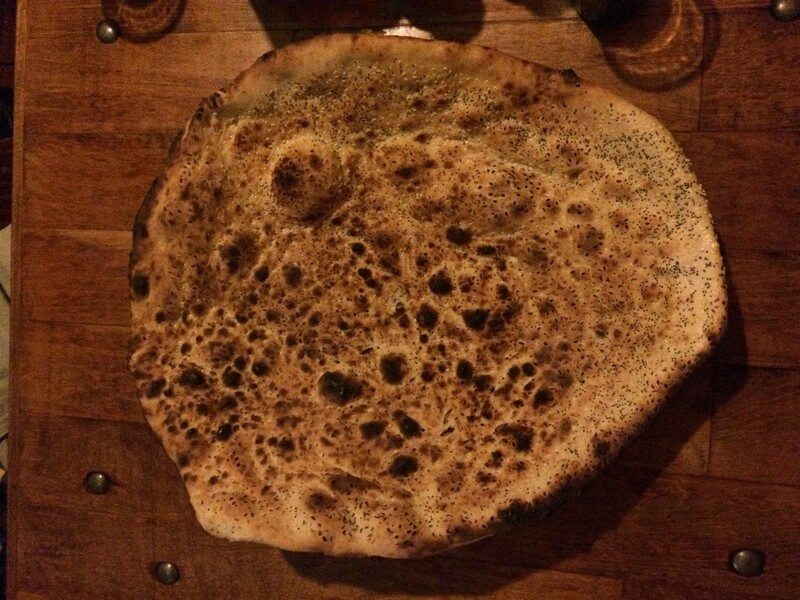 The bread was light with a crisp outer layer and was certainly freshly made (though unfortunately it was not quite as good as at Mohsen, which has a clay oven in the dining room and the bread is made before your very eyes). 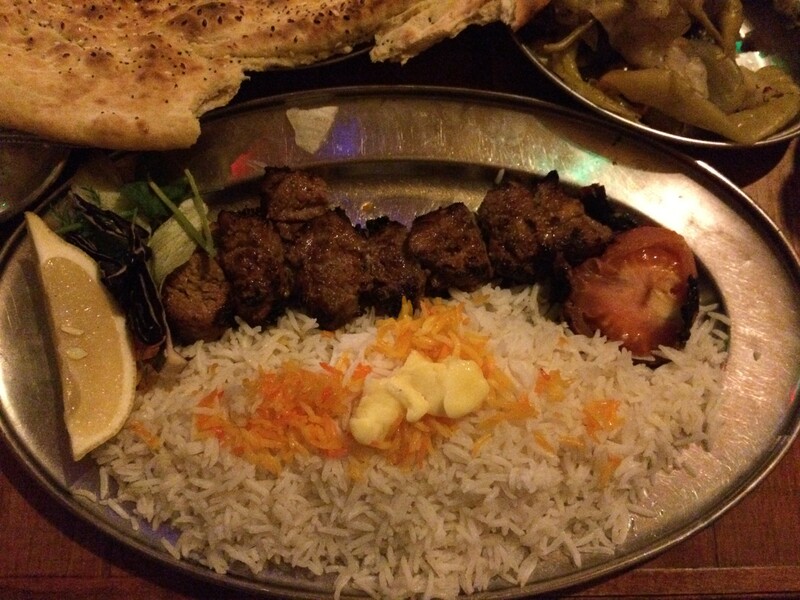 Kebabs and stews are the mainstays of Persian cuisine and Hafez offers numerous versions of these. The highlight of our kebab platter (£28) was the chicken which was perfectly cooked and extremely succulent; the lamb chops were made of good quality meat and were nicely moist; however, unfortunately our lamp chops were a bit overdone. These meats were all served without sauce or strong seasoning, allowing the natural flavours to dominate. 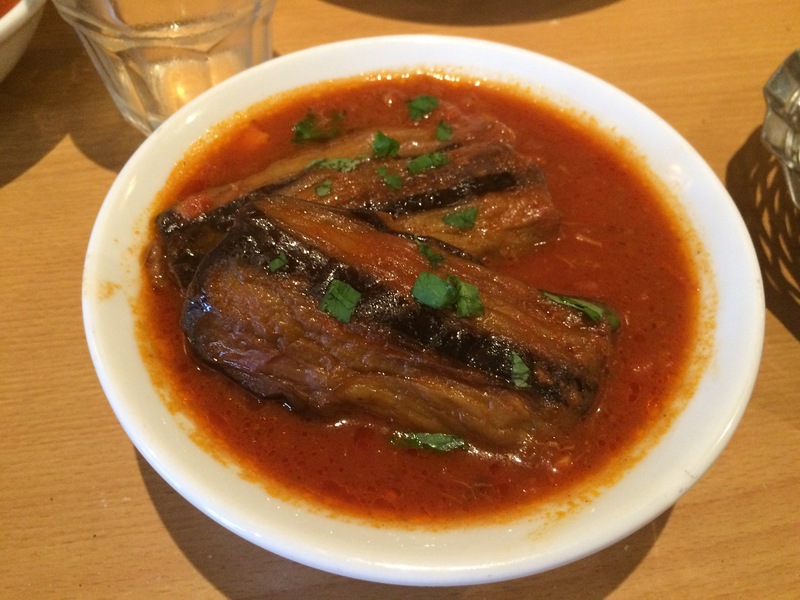 I am a great fan of the stews made by my Persian friend, so I think it would be hard for me to praise any restaurant offering, but even considering this, I was disappointed with the lamb stews we ordered (Ghormeh Sabzi £9.50 and Gheimeh £9.50). The meat was melt in the mouth but the flavour was listless and unblanced: dried limes dominating the former and saffron the latter. Our saffron ice cream (another Persian staple) was certainly homemade but the texture was not perfect, with quite a few ice crystals lending an unpleasant crunch. 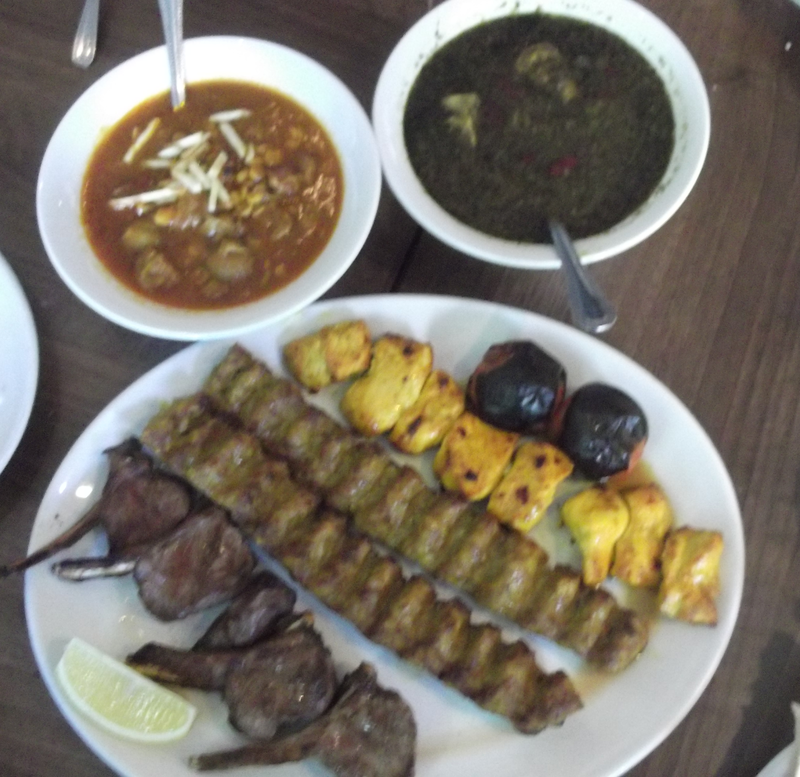 If you want to try Persian food then Hafez is not a bad option, but I think that the food at Mohsen is far better. 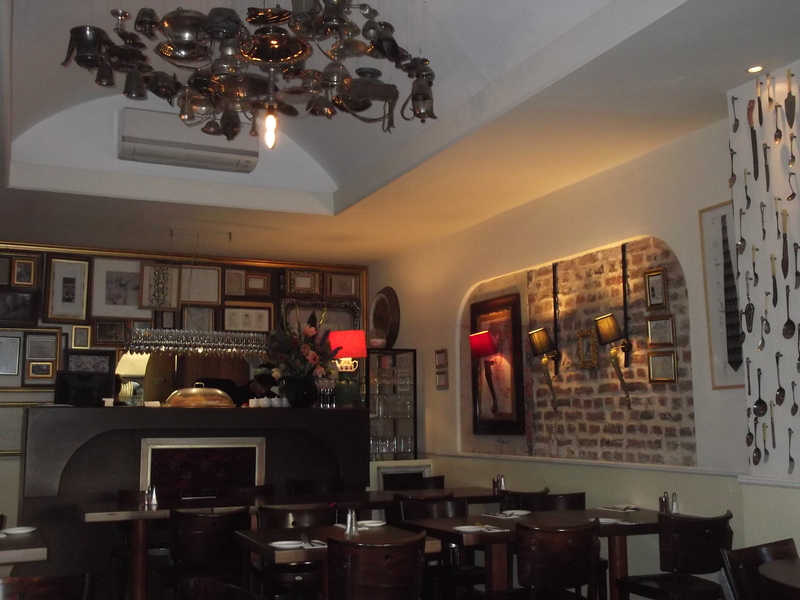 Also see: Best Iranian Restaurants in London, Zagat.